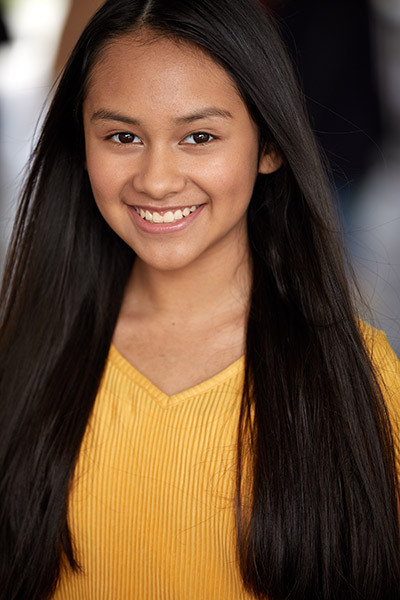 Isabella Leon is an actress and singer who is best known for her roles on popular network television shows such as Modern Family and Life in Pieces, and for short films like Street Ships and The Dog that Saved Easter. 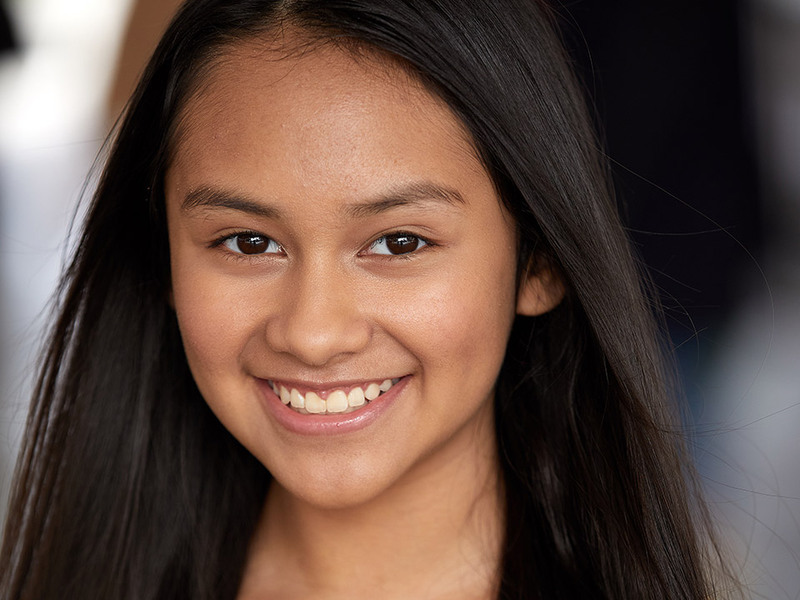 Isabella made her singing debut at the age of 4 when she won 1st place in a talent show singing “Castle on the Cloud” from Les Miserables. She recently released her music single “Dance with me” which is available in iTunes and Spotify. Hi Isabella, please tell us about you? Well I made my first singing debut at the age of 4. I sang “Castle on the Cloud” from Les Misèrables for a talent show competition where I won 1st place. Since then I have pursued a career in music, film, television, and local theater productions. I released my first single “Dance with Me” last year, you can find it on iTunes and Spotify. I’ve appeared on Life in Pieces, Modern Family, Street Ships, The Dog that saved Easter, BITS, my “Dance with Me” music video, and other short films to name a few. In the future, I hopes to use my success in the music industry to inspire other kids to accomplish their goals and dreams through hard work and a lot of practice. Ever since I was 3 years old, I would point to the Tv and tell my parents I wanted to be in there. At the age of 4, my mom took me to go see “Annie” on Broadway, I cried because I wanted to be on stage not in the audience. That’s when my mom enrolled me into the preschool of performing arts. I loved it! 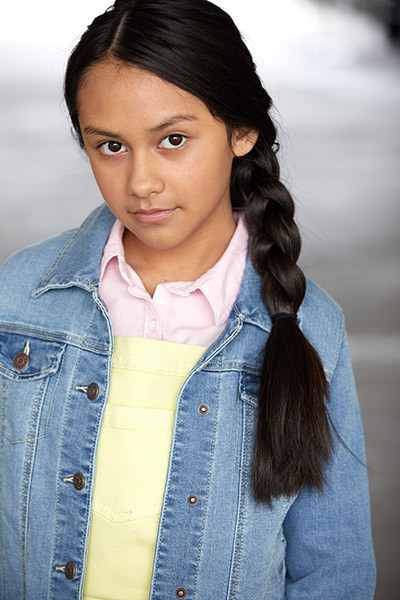 My first role was when I had just turned 5 years old, it was for a yogurt commercial. I loved it! I was able to play at the park all day!! Yes, I have been attending acting classes since I was 5 years old. I think it’s very important to perfect your craft. I’ve been truly blessed to have so many amazing talented actors share their passion with me. I have always enjoyed meeting with Casting, I leave any nerves at the door. When I have the opportunity to meet casting, I’m very grateful. Working on the set of Life in Pieces, was so much fun. I got to work alongside the amazing director, Helen Hunt, and actor, James Brolin, It was so awesome to watch and learn from them. I prepare for a role by learning my lines and by studying the character. I also do research on the time and place of the setting for the film. I recently worked on a film called “BITS” and it was directed by one of my favorite directors, Mr. Edward Payson. I worked alongside Najarra Townsend, from the horror movie,”Contracted” and Dee Wallace who played one of the most iconic mothers, Mary, in the movie E.T. In fact, Dee wallace was the victim of my first onscreen punch, rumor has it that I actually made contact. I absolutely love working on the set of horror films especially when working with such an amazing director, cast and crew. What have you learned from your other actors? I’ve learned so many things from very talented people but something that stood out to me was Whoopi Goldberg stating “An actress can only play a woman. I’m an actor, I can play anything.” I am an actor, I don’t just get to play dress up, I can bring a whole new story and character to life in a instant, which is why I love acting so much. My favorite actress is Millie Bobby Brown, her performance of “Eleven”on the set of “Stranger Things” is amazing and she so caring towards her fans. It would be one of my dreams to work alongside her. Well it was my first singing debut at the age of 4. I sang “Castle on the Cloud” from Les Misèrables for a talent show competition where I won 1st place and ever since then it always been a passion of mine. Now tell us about your latest music single “Dance with Me”? The inspiration for my song is inspired by all the powerful women in my life, from my mom, my grandma, aunts, cousins and friends. My music video featured one of my friends, Nicole Lemus, who I met on this app called Tik Tok. Nicole was being bullied online while broadcasting live on the app. After I saw all the hateful comments, I knew I had to stick up for her, little did I know a friendship would blossom from this. I was so happy she was able to represent girl power in my music video. I have so many things planned for the future. My biggest wish on my bucket list is to create a non-profit organization called “Sprinkles” where twice a year, fellow creators and I, come together to throw a huge birthday party for kids in unsheltered communities. Everyone deserves sprinkles on their birthday. What would be the dream holiday, and who would you go with?. One of my favorite holiday is Halloween, my dream would be to attend Halloween Horror Nights at Universal Studio with the cast of all of my favorite horror films. Such as, The Shining, Child’s Play, Stranger Things, and Conjuring to name a few. I would love to meet Billie Eilish, I absolutely love her music. So I would just love to sit down and tell her how much her music inspires me and how aesthetically pleasing it is. I would love to meet my late sister, Danielle, she passed away before I was born. I would love to have the opportunity to visit with her. My family has always told me that I am alot like her. My definition of happiness is doing what I love and motivating other to pursue their passions! What do you think of Social Media in the Entertainment business? I love social media, It gives me the opportunity to keep connected with those that I follow and those who follow me. The best advice I was given was “you have to be uncomfortable to be comfortable.” someone told me this during my journey into acting and it stuck with me ever since. I absolutely love Billie Eilish music so much, my favorite song by her is titled “When the party’s over” I love the melody and meaning behind the song, even though it makes me cry sometimes. A normal day in my life is crazy busy because I’m homeschooled due to me constantly traveling to work on set or to attend lessons and auditions. Yet, I wouldn’t change a thing, except for no online classes on Mondays. I find all actor and actress, young and old, inspiring role models. One of my musical inspirations is Anthony Gonzales he is an amazing role model in the industry, his voice in the movie “Coco” moved me. As soon as I finish recording my EP, I plan on filming a music video for one of my original songs. I also plan on filming a music video in the studio of my song “Perfectly Perfect” which will be released in the next few months. Perfectly Perfect was inspired by my recent diagnosis of Scoliosis, the message behind was to tell everyone that we are all perfect in every way.